Great example of a classic sport fisher, well maintained by knowledgeable second owner. Resent bottom paint with popular MTU engines. All new Garmin touch screen displays with new Garmin auto pilot and FLIR night vision camera. Great rack sound system and large flat screen TV's. 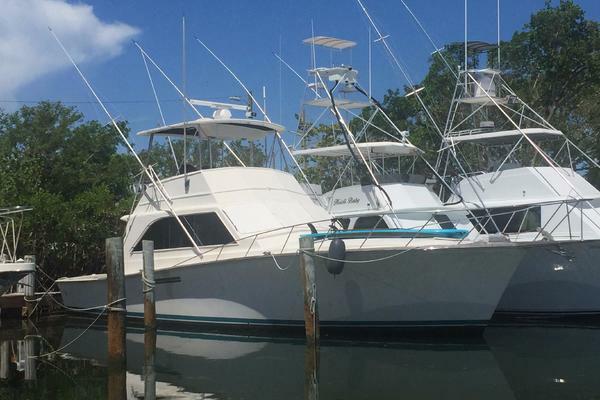 United Yacht Sales New Jersey would love to guide you through a personal showing of this 60' Hatteras 60 Convertible 2001. This yacht for sale is located in Newport Beach, California and priced at $685,000. For a showing please contact us by filling out the form on this page and we will get back to you shortly! 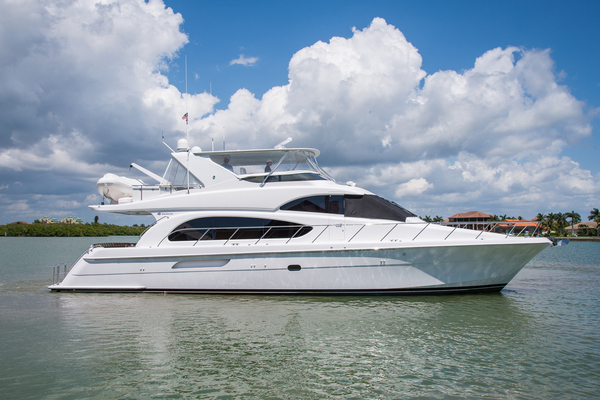 The Hatteras 60 Convertible has been one of the most popular models built to date. Titushas always been updated and is exceptionally clean. Features include fluted wood valances with blinds, an under-counter refrigerator and freezer units, a four-burner cook top, and a microwave / convection oven. The 151-square-foot cockpit is primed for fishing with abait and tackle center, a drop-in bait freezer, electric grille, rod holders, seawater andfreshwater washdowns, a flush in-deck storage box with macerator pump, and a refrigeratedcompartment. Update: Nonskid on cockpit sole. Salon The salon provides for a cherry interior wood with large windows. Airflows through flutedSoffits allowing air to disperse through the salon. To port, a custom l-shaped sofa with storageunderneath surrounds the custom coffee table that also provides storage. To starboard anUpgraded pop-up Toshiba 42" flat screen TV. Denon A/V Receiver with Amplifier and Bose surround sound system. The Company offers the details of this vessel in good faith but cannot guarantee or warrant the accuracy of this information nor warrant the condition of the vessel. A buyer should instruct his agents, or his surveyors, to investigate such details as the buyer desires validated. This vessel is offered subject to prior sale, price change, or withdrawal without notice All personal property is excluded unless specifically identified and included in the sale agreement and listing specifications. Personal property refers to all items not permanently attached to the vessel including but not limited to: artwork, furnishings, and recreational or entertainment items. Advertisements, marketing materials, and/or other photography may depict the vessel with personal property, however, such personal property is excluded unless otherwise specifically included as provided herein.